Email marketing is one of the types of digital marketing that uses electronic mail services to directly communicate with its customers. It’s one of the most popular & profitable business models available on internet to create passive income online. It’s a specialized business model that’s focusing on reaching customers.. Absolutely anybody can set up an email marketing campaign & in order to do all of that there has to be a website in place to capture visitor emails. With site you likely focus on having dedicated landing pages & free gift offers to reach your customers..
..& more importantly not just new customers but regular customers, which is the most powerful part of email marketing. Imagine a local grocery store near you that you like to visit all the time. Why won’t you visit any other random grocery store nearby? Exactly! Why should you!? That’s what email marketing is all about – Get a new customer & treat them as recurring customer at the same time. 1Build a Delivery System – First & for most you need the “engine”. The most fundamental part of email marketing is to have a website in place. Why? Your customers needs a place that they can visit – It’s absolutely mandatory to have a website & it will be your very foundation of email marketing business. Once you have a site up & running, you can start your main task which is all about email marketing – Building a Landing Page. It’s the very core – A dedicated page that is specifically designed in a way to capture your visitors email addresses 24/7. Step one: Setting up your email delivery system – A big part of your landing page will be the technical section “under the hood”- There are highly specialized plugins & services that you’re going to connect with your whole website. No, you are not going to be sending your emails manually to 10 000 people, you’ll never make it in time & from humanly aspect it’s just impossible – You’re going to set up a system that does it for you automatically: You’re going to be writing a single email & the system delivers copies of this email to your whole subscribers list. 2Keep publishing content – This is the “communication” part of your email marketing campaign – You’re going to be publishing content regularly within your respective niche. Before you can think of getting any e-mail addresses from people you need drive traffic to your website. To attract visitors, there are multiple advertising methods to get visitors to your website as well as increase your brand awareness. The easiest way to get people subscribing to your page is by offering them a gift in exchange of their e-mails. Step two: Communication with your customers – You want to continuously grow your list as well as keep the existing customer interested. You’re going to be creating & sending out newsletters on regular basis to engage with your audience. Capture your potential customers attention with special offers – It’s the communication part with your visitors to keep them interested in your services & products.. & also encouraging them to keep coming back to your lovely business site. This is “get people interested & treat them well” phase. 3Sell, re-sell & earn profit – Generate profit by selling & RE-selling to your list. This is the final stage of this type of business model where you’re going to see actual revenue. This is the most powerful aspect of email marketing & the ultimate reason why this type of business model has become so effective: It’s persistent & repetitive. It’s all about recurring customers. The statistic show that it’s much easier to sell to a customer who already has bought something from you – They trust you, that’s why they buy from you. If you provided a good service, they will keep coming back! Step three: Consistency with regular updates & newsletters -The system you’re going to build acts in timely manner: Your newsletters are going to be sent to customers within specific intervals: Let’s say once per week for example. The biggest struggle in email marketing is simply setting the whole system up correctly & the huge amount of preparation that goes into it. Sending out emails is the easiest part & it becomes fully automated process. So, the hard part is really about step 1 & 2.. Step 3 is already reaping benefits. No surprise why is it so popular – It’s lucrative & works very effectively in long term. Brand Awareness – Email marketing greatly helps your customers as well as your potential customers to remember you & be aware of your products & services – It eventually leads to higher conversions & gives you opportunity to earn more revenue. Quick delivery in a bulk – Create your marketing emails within hours & send them to thousands of people within minutes – Incredibly powerful tool in online marketing world to reach all of your customers simultaneously. Build relationship with customers – Providing a quality service results in positive costumer experience. Once your consumer appreciates your effort there is a very high chance that person becomes a regular customer for your business. Never ending market – Using email is most popular activity on internet & it’s ever growing audience. There are billions of people on internet shopping online every single day, looking for products & services, who also carry a potential to become your subscribers. Professional support groups – You’re never going to run out of information. There is a lot of information available on internet for free, plus you can find marketing experts who are always willing to help you out. Incredibly versatile – Doesn’t matter what products or services you are currently promoting – Email marketing gives an edge regardless of your niche & direction to engage with your customers & keep communicating with them to conduct business. 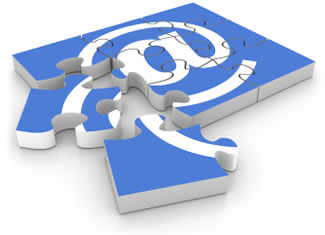 Time consuming – Email marketing requires a lot of persistence & commitment. It also can be “tough nut” for complete beginners due to its rather complicated technical set up. Massive red light for desperate or lazy folks who are looking for an “easy way out” card. No instant riches – At the beginning, as you start building your list, you will earn very little or nothing at all – You have to put in the effort to build your “money making engine” before you can start thinking of revenue. Success follows, but nobody but you will work your way there. Needs planning ahead – This is likely the biggest part of email marketing business model. You need to plan ahead, think everything through & execute your campaign correctly to make it work effectively. It’s also likely that you should do some test runs to see what kind of response you get from a customer. See what works, what doesn’t & adjust accordingly. 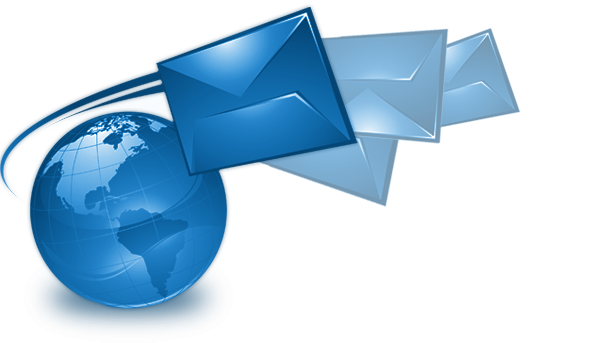 Getting attention – Our mailboxes are overflowed if not swarmed with emails & more are coming in each day. That’s just reality. Why should a person want to read your email specifically among 100 of other emails? Can they even find your email? If they can, how appealing is your email for them? That’s a really tough spot to be in & takes some work & dedication to make yourself more visible. Being read – Okay, you got attention, people noticed your email, but is your content engaging? How much time your customer spends to read your newsletters & to visit your websites? If your stuff feels boring they just unsubscribe as quickly as they subscribed. Keeping readers attention is as important as getting their attention in the first place. Call to act – Ultimately, you want people to take action upon your recommendations. This is what you aim for, to ultimately create passive income through your email marketing campaign. The question is.. Is your content compelling enough to help your customer to make that first move & technically speaking, will your traffic convert? Personal touch – That can be a big problem with email marketing: To be honest, email marketing can lack personal touch. It can become just about another letter in your inbox, maybe an engaging one but still. That might be problematic & a bottle neck area in this business model which has its advantages as well as disadvantages. People don’t like bots too much. Spam filters – If it’s not already being lost among hundreds of other emails, it can end up in the junk folder. Meanwhile spam filters are absolutely necessary to protect us against harmful messages it can also be a true death sentence to your online marketing campaign. It’s good to be aware of that situation as it can become a case sometimes. Too many emails – Talking about spam. Overloading people with your emails is a red light. On the other hand, emails are coming in from every direction – Your mail can get overlooked simply because people don’t perceive them as high priory mails. Plus there are other companies out there that scream for attention for themselves & a customer might miss your newsletter due to distraction & high volume of emails. Inconsistency – Are you consistent at what you do? Customers will forget about you very quickly if they miss updates. Being inconsistent also directly reflects to your customer what kind of business they’re dealing with. That’s the whole point of email marketing – Sending newsletters on regular basis to make this particular business model work effectively & fill its purpose. Content overload – It’s very important to be relevant, deliver high quality content & at the same time not to overdo it. If there is way too much content, customers start feeling overwhelmed, they carelessly skim through your content & likely delete the whole thing afterwards. The key is to keep it light & catchy. So, technically.. What kind of value does email marketing offer to us? Give Free Gifts – It’s almost like a basic law of nature: If you want something, then it’s great idea to give something. Statistics show that it increases your chances by a whopping 200% to get a subscriber once you give that person something for free. It’s great idea to create dedicated landing pages for each & every one of your special offers. In that way you maximize your chances of getting new subscribers. It tends to work great & giving away free stuff always engages people. Avoid too Personalized Emails – Always have personalized emails but DON’T use persons name. Be relevant in a way to target your audience by their demographic, age, specialize on events on persons locale & offer something of their interests but avoid using their name. Research shows that people have become much more cautious about credit card frauds, phishing, identity thefts & other similar forms of harmful content. Adjust Sending Times – How well do you know your audiences? When should you send your emails? There’s no general rule of thumb because demographics are very different but research shows that the highest open rate time was around 8 pm til midnight. Also email campaings that are being sent during weekends tend to outperform the ones sent during weekdays. It would be good idea to keep testing different times to see what works for you the best. Be Mobile Ready – Emails are easily accessible, popular & a massive traffic goes through smartphones. Research showed that in 2014 mobile opens were 53% of all emails. That’s over half of all of the emails & it’s a direct indicator to build your email marketing campaigns in responsive manner. If you don’t want to miss out a large amount of customers as well as potential customers it’s incredibly important to have your emails mobile ready. More traffic means more revenue. Leverage on Social Media – Using social media for your advantage can be very powerful. It’s a great way to build your list & also helps you to continue engaging potential customers. 84% people who use web are using email, & 62% of them are using social media networks. A test for driving subscribers to landing page found out that Facebook boosted posts drove about 47% of traffic. 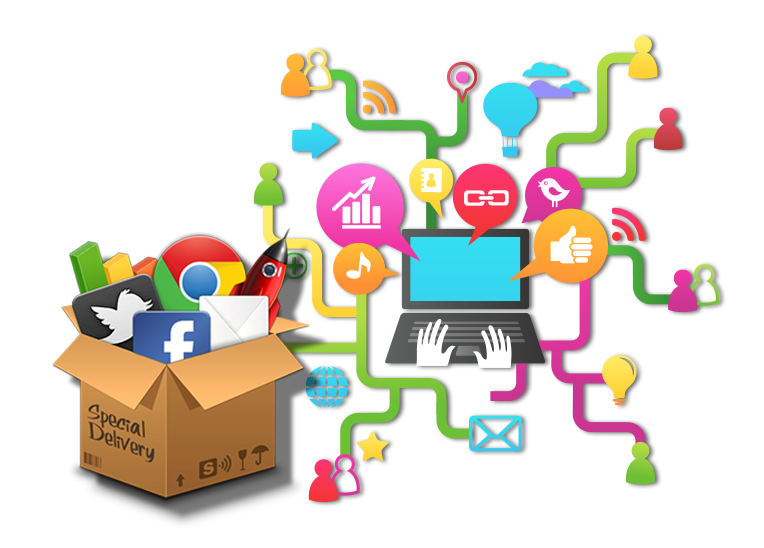 It’s highly beneficial to create landing pages on social networks. Reach Inactive Subscribers – Almost 65% of subscribers list is inactive. These are customers who likely are not going to follow up. What should you do? Start a re-engaging campaign to let your customers know that they’ve been missed. Regularly offer them discounts, incentives & various other special offers to get them interested again. It’s also good idea to find out why people are no longer interested. Use this info to improve your campaign. Be Very Visual – People are very visual by nature & most customers just love visual stuff. Plain & simple. 65% of customers prefer images VS 35% who likes text mostly. Nobody likes an ocean of text only. Always use relevant images that goes with your content. Do not use irrelevant images & visuals that do not contribute towards your message you are trying to send. Rule of thumb, it’s better to use smaller images to speed up loading time. Improve Call to Action – Call to action links tend to get a lot of attention & clicks. Based on research newsletters that used buttons for call to action increased their click through rates about 28%. It’s clearly worth to mention & give it a try since call to action means low cost for you yet makes your emails more engaging & improves the overall click through rates. Build buttons that are easily noticeable, stands out & are focusing on benefits. Collect Data & Keep Testing – Don’t just throw your things out there & leave them as they are, always test your stuff: IF they work & how they work. Always make sure your emails work before you send out any. Collect data from you campaigns. It’s worth to always keep your eye on: Call to action buttons, your email subject lines & of course.. your content. Collected data helps you to build better campaigns in future. Here’s my number 1 recommendation. Why should you check this out? It’s incredibly beginner friendly & easy to follow. In my opinion user experience is the most important part of them all. Everybody likes to be treated well. First & for most, it’s essential to get you up & running the easiest yet most professional way possible. Here’s a way to start your online project completely FREE. Good thing starts with Trust – Trusting leads to Longevity – Longevity means Success – Success converts into Revenue Revenue is generated through honest hard work. Earning passive income through online project is possible. 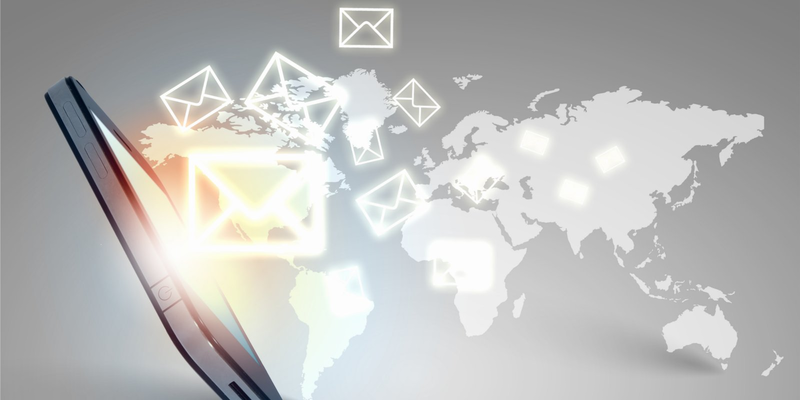 I hope you enjoyed reading my article & learned a lot about Email Marketing along the way. Feel free to ask for assistance & share your thoughts by leaving a comment. Wonderful, I bookmarked this page so I can come back when I’m ready to start with email marketing. Thanks for sharing all this information. It’s great to hear that you find it useful. Meanwhile, good luck with your project! This is one of the best sites I think that I have come across in a long time. A lot of good information. I’m just curious though, where would you put the landing page – as a form on the side of your website, or as a pop-up? The reason why I ask for is because sometimes I find pop-ups kind of annoying so I’m not sure how effective they are. Also you talked about testing your campaign before sending any emails out, but how do you do this? Don’t you have to send them out in order to test them to see what works and what don’t? Forgive me for asking so many questions, but I am also new to email marketing. But like so many others I have heard it said that the profit is in the list. So I am definitely going to be building my own list soon. I personally get annoyed by all kind of pop-ups, relevant or not, that tries to impair my current activity..
Pop-ups feels like desperation move by marketers, reflects them needy. But really depends on your audience – Some like aggressive approach some don’t. If you decide to go with pop-ups they must be extra catchy. Otherwise they won’t work & it just feels like a spam. The more neutral way would be to insert subscription forms into your website sidebar, or footer. It will be on visible spot, yet doesn’t disturb your reader. Your customer would not have any other way to navigate away but to go through the sign-up process you’ve built. So, you have multiple choices how to do it. Testing is a big ongoing process – There’s always something you can adjust. In general, by testing your campaign we can start off by making sure that our subscription form works so people can actually subscribe. You can be creative too – You can try & enter one of your own email addresses to see what happens. It’s always a good idea to double-check for broken links as well as your actual content for typos to make it look more professional. There are multiple moving parts. To get the technical part covered there’s an excellent way to get you started with GetResponse. It’s excellent for email marketers as they provide you all the tools & as well as teach you how to get started, to make your life much easier. I found it quite reasonable to get your emails delivered up to 1000 subscribers for $15 per month only. Thanks for your visit & kind words! I have to say my initial reaction was WOW! Very impressive from the minute your site opened up. I have thought of the email marketing but keep putting it off. You make it sound very doable and necessary and if we follow your guidelines we should be good to go. Thank you for such a great post about email marketing and the encouragement so many need. Kudos! It’s definitely an option to consider. And if it’s as good as they say it is, why not to give it a try.. Thank you for your positive feedback, I appreciate it! Like they say “Money is on your list” I was thinking to integrate my website with a lead capture page to build my own list. I will definitely refer to your article when I begin. Great to have you here Emmanuel! One thing leads to another..
Great work you have with setting up your theme; I am a great fan of visuals.I will also like to appreciate your great insights into e-mil marketing. You just put across the facts correctly and helpful tips. Thanks for pointing out the visuals Enking..
I’m really passionate about all of that. But this article gave me A-Z knowledge . Pros and cons part helped me a lot to make a decision whether to do this or not…. Email marketing tends to be one of those business models that seems to be a bit more intimidating at the start. It’s actually quite simple in nature & it’s fun to do in its own way. I’m glad that I could help you out. Thanks for such a positive feedback Senal!